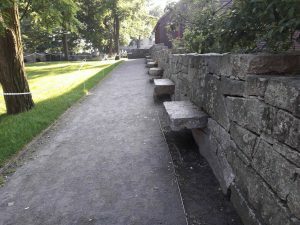 Whilst holidaying around the U.S, H.A’s Barbara visited many historical locations on her Bucket List. 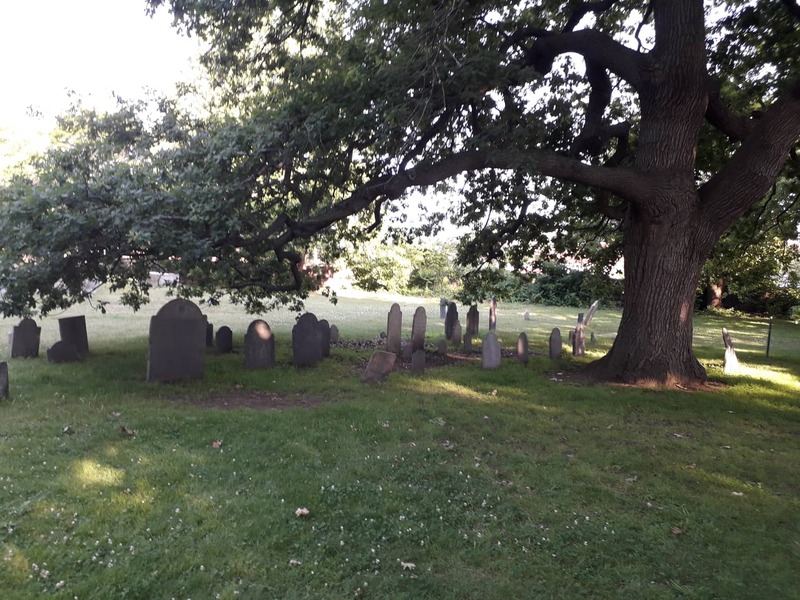 Passing through Salem, she couldnt resist stopping at the second oldest cemetery in the U.S; simply titled, The Burying Place. 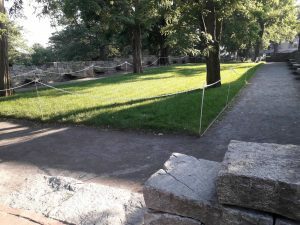 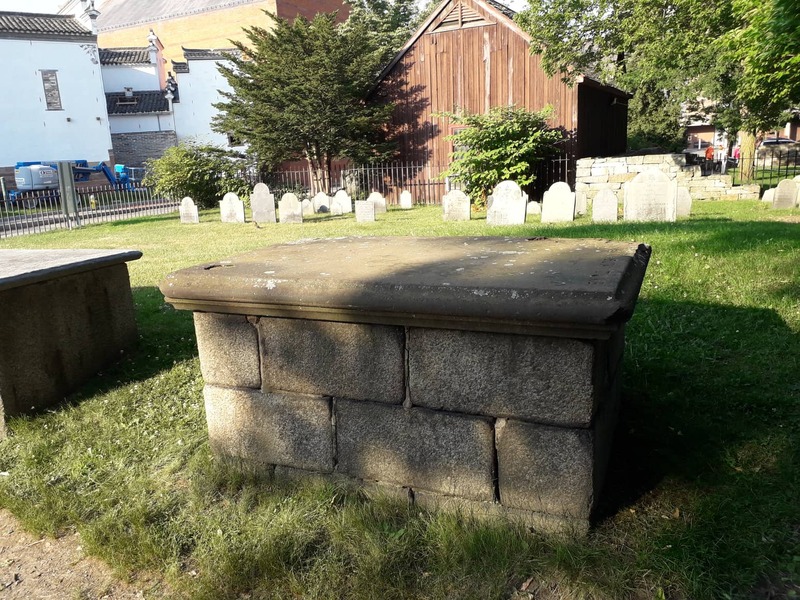 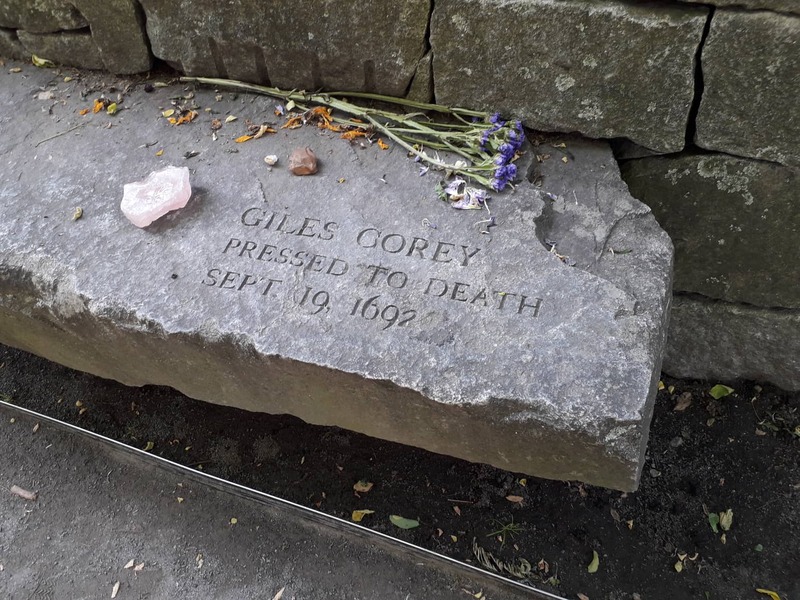 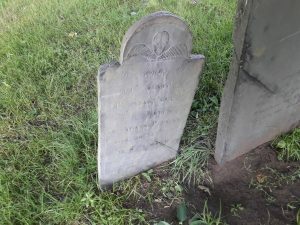 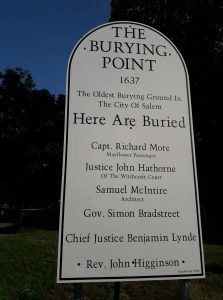 The Burying Place is the second oldest cemetery in the USA and holds the graves of notable residents of Salem village from around the time of the Salem Witch Hunts. 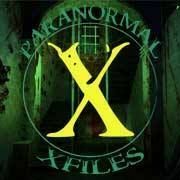 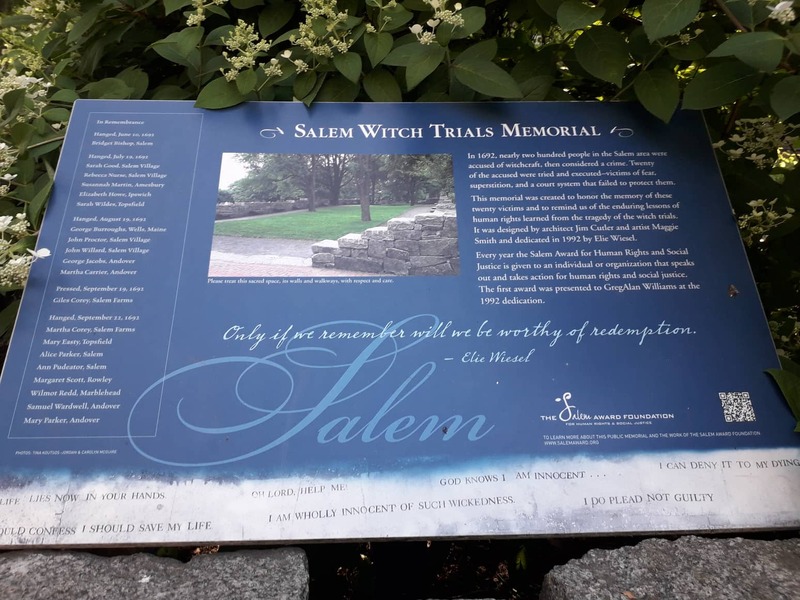 Although many ‘witches’ were hung during the hysteria if the Salem Witch hunts of the 1860’s, the ‘witches’ bodies are not interred here as they were placed in unmarked graves somewhere in the outskirts of the town, the location of which has been lost over time. There is however, a monument to these unfortunate souls at what is considered to be the location of the original Gallows. 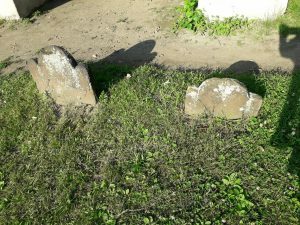 It is unfortunate that the town of Salem has cashed in on its history and as a result I suspect that many of the graves in this graveyard are not as authentic as the town would wish you to believe! 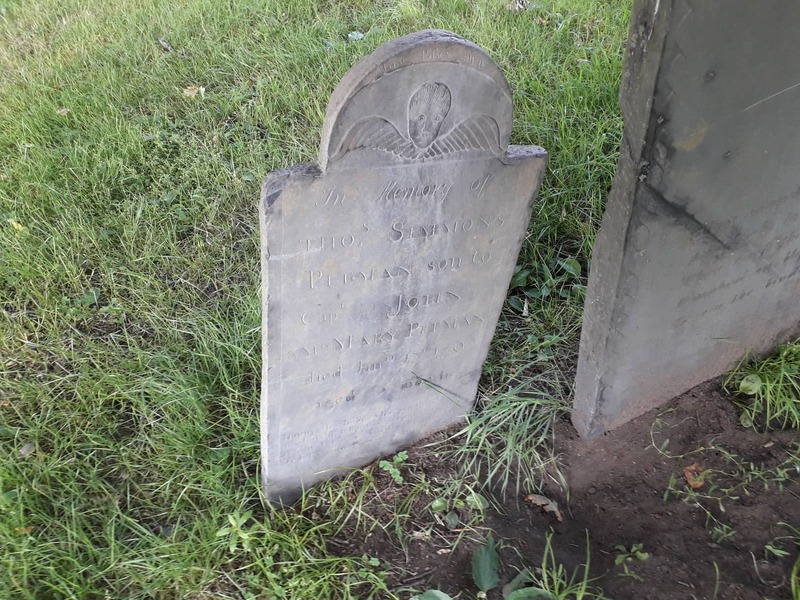 I’m certainly no expert in old head stones but I’m pretty sure that graves of this era would not have had skull candy skulls incorporated into the design of the headstone! The neatly arranged rows of graves seem too well laid out, incredibly moss and lichen-free, and with every word and etching of the majority of the slate headstones easily read. I’m sure that some of the graves are real but many, I suspect, have been added to draw the crowds of tourists who, on the day of my visit, stood at the entrance of the graveyard shrieking loudly with laughter while posing for smiling selfies with the graves in the background. 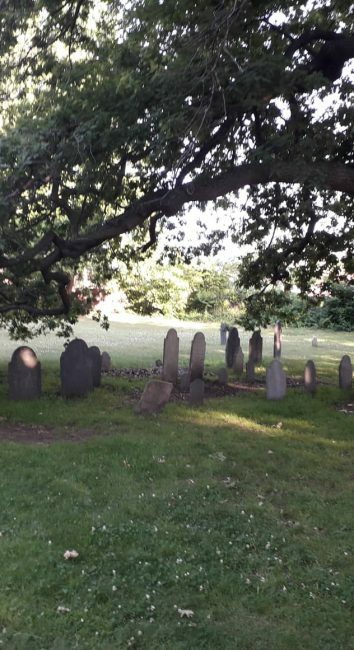 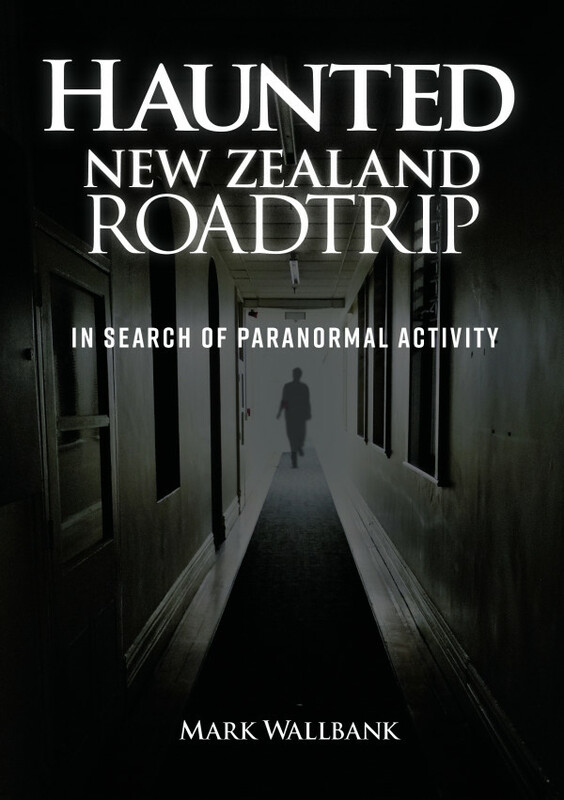 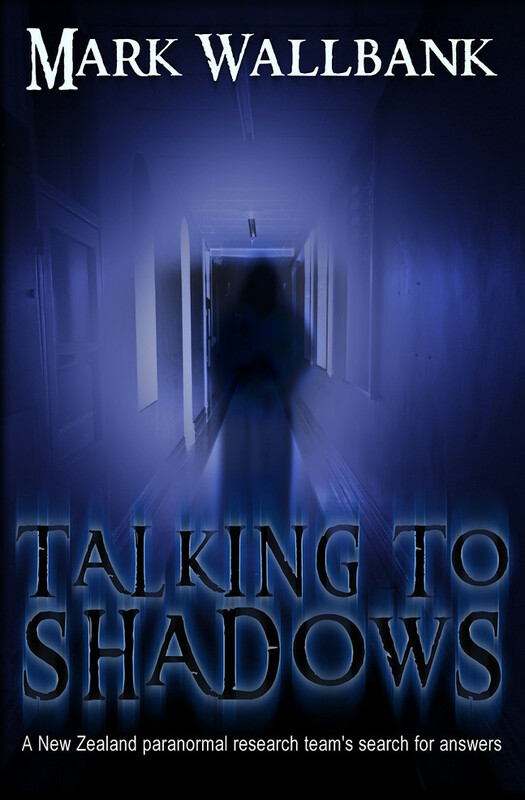 Close to the centre of town, this was an interesting place to visit as it is the resting place of several prominent citizens of the town during the witch hunt era and well worth a look as a place of historical significance. 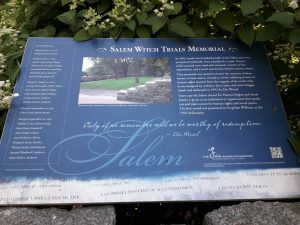 Beside this graveyard stands a monument to the people who were hung or killed as witches during the Salem witch-hunt era. This has been designed as a place of calm reflection and is a grassed area edged with stone slab seats on which are etched the names of those who were executed as witches during that era.